You know it is finally spring, not by the calendar, but by the first landscape maintenance trucks hitting the road without snowplow attachments. Mother Nature is struggling a bit; we are having warmer days, but the nights are still crisp. Those warmer temperatures are needed by many blooming plants to trigger the soon-to-be flowers. Winter bud scales will be softening with rains to later allow the flower and leaf buds to open easier. 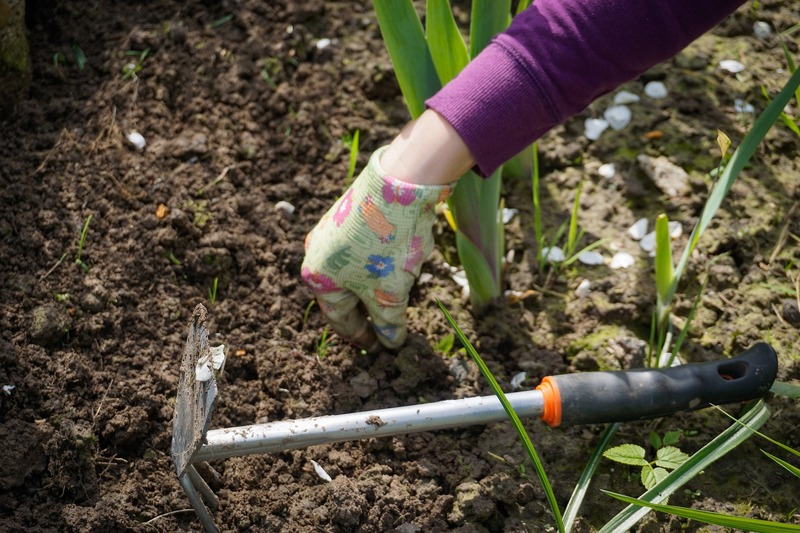 If you are out in the yard cleaning up beds, watch carefully for emerging spring bulbs and the crowns of early tender perennials. If they have been under quite a bit of leaf litter or mulch you put down last fall, carefully remove the cover over time, allowing the tender plant parts to acclimate gradually. Remove the mulch and leaf litter last on those plants that are favorites of rabbits. Once there are more plants, weeds and grass to eat, your perennials become less of a target. Rabbits have very likely fed on some of your shrubs over the winter, and it may seem surprising to find some damage on the lower branches and not the stems at the soil line. We had some good snowdrifts that allowed rabbits to feed higher. Rabbits have never had a pruning class, so have your pruners handy to do some pruning back to a smaller branch or the next bud to repair the feeding damage. If you find fine textured shrubs like Potentilla or the smaller Spirea heavily damaged, go ahead and take down what is left and let those come back from the crown. Lawns can be cleaned up using a leaf rake to take care of the winter debris without damaging the grass plants that have been pushed up and out of the ground by freezing and thawing. Ornamental grasses left up for the winter interest and nest-building materials for the birds will need to be taken down to several inches above the soil line before growth resumes. Ornamental grasses are more of a warm season grass, so you have lots of time to get other parts of your yard in order before you have to cut back the grasses. An easy trick to getting those grasses down is to use a bungee cord, tying the bundle together before using your pruners or shears scattering the tops everywhere. All of that material is compost worthy and can be used to create your very own compost to use later. If you collect lawn clippings, you have all the ingredients you need. The browns for the carbon and the greens for moisture and the food for the microorganisms that will work to break down the waste to compost. Richard Hentschel is a Horticulture Extension Educator with University of Illinois Extension, serving DuPage, Kane and Kendall counties. Stay tuned to more garden and yard updates with This Week in the Garden videos at facebook.com/extensiondkk/videos and the Green Side Up podcast at go.illinois.edu/greensideup. The Kendall County Master Gardener Help Desk resumes for 2018 in March – Monday, Wednesday and Friday from 9 a.m. to 12:30 p.m. at 630-553-5823.